See top sights in Hong Kong & Macau with one card! Ever stalked travel websites weeks and months in advance looking for the best deal for each attraction you plan to visit? Don’t let your Hong Kong and Macau trip be a stressful one! Say goodbye to the woes of tedious and taxing planning out of the window. There’s a solution that comes in the form of one card - the iVenture Hong Kong And Macau Attractions Pass! Available in over a dozen locations around the world so far, the iVenture Card is a ‘smart card’ which allows the cardholder access to a range of top attractions and experiences in those cities. With just one card, iVenture cardholders can enjoy cash-free admissions to the curated list of best attractions, tours and experiences instead of paying for each of them separately. Each iVenture pass also comes with a guide book that includes a map, attractions’ information and all operator details. The iVenture Hong Kong And Macau Attractions Pass can be used at leading attractions like Ocean Park, Ngong Ping 360, Macau Tower, Peak Tram and many more. In addition to that, you get additional discounts and savings on a number of restaurants and activities. The iVenture Card is very simple and easy to use. You can purchase your card online from Klook before your trip and register online for an e-pass or collect the physical pass on arrival. Avoid the hassle by using the iPass, the electronic version of iVenture card. After receiving your KLOOK voucher, go to the iPass check-in website, enter the activation code (10 numbers) displayed in your voucher and other required information to receive your iPass! If you'd like a physical pass, simply present your Klook e-voucher in one of the several iVenture redemption points in Hong Kong or Macau to exchange for your card. Once you have your card, you can activate it whenever within a 1-month period. To start using, simply present your iPass on your mobile phone or your phsical iVenture card on arrival at each attraction to enjoy free admission or discount. All you need is this one card to fulfill your travelling needs! The iVenture pass can be purchased online from the official website. It can also be purchased online from Klook with the best deal in the market! You can then redeem it for an eletronic pass online or and collect your physical card after arrival in Hong Kong or Macau. Enjoy benefits like instant confirmation and an open date ticket for a hassle-free affair on Klook. Instead of being frantic and stressed out, this allows for a smooth sailing experience when planning for your trip to Hong Kong and Macau. Besides that, the cards can also be purchased in Hong Kong or Macau after arrival at the iVenture stores. Thanks to the nifty instant confirmation feature, you can purchase the card after arrival on Klook as well. This way, you can enjoy the discount! After purchasing online, the iVenture card must redeemed online or collected from the redemption point with your e-voucher within 6 months. Following redemption, the pass must be activated within 1 month. To activate your iVenture card, simply start by redeeming an admission ticket to your first attraction. The card is then valid for 3 or 5 days consecutively, depending on the package you purchased. Your iVenture card expires on the final calendar day of the duration of your package. The validity period is not based on the 24-hour rule. For example, if you started using a 3-day iVenture Hong Kong And Macau Attractions Pass on Monday, it will stay valid until Wednesday. You're free to visit as many attractions as you wish available for iVenture passholders. This is the biggest perk of the iVenture card - the great savings you get to enjoy. Paying for each attraction individually would add up to more than what the iVenture card costs! Besides that, you have the flexibility to plan your own itinerary and opt for choices that suit your travelling needs, schedule and interest. With access to the top attractions, you know you’re getting the best experience. The cash-free admission feature of your iVenture card also means that there’s also no need to fuss with purchasing multiple entry tickets and keeping track of each ticket. All you need is your iVenture card and you’re good to go! For travellers who want to cover more ground and visit several of the top, must-visit sites of Hong Kong and Macau, the iVenture Hong Kong And Macau Attractions Pass is a great value. Whether it’s a short 3-day stay or a week stay, the packages available can easily accommodate. 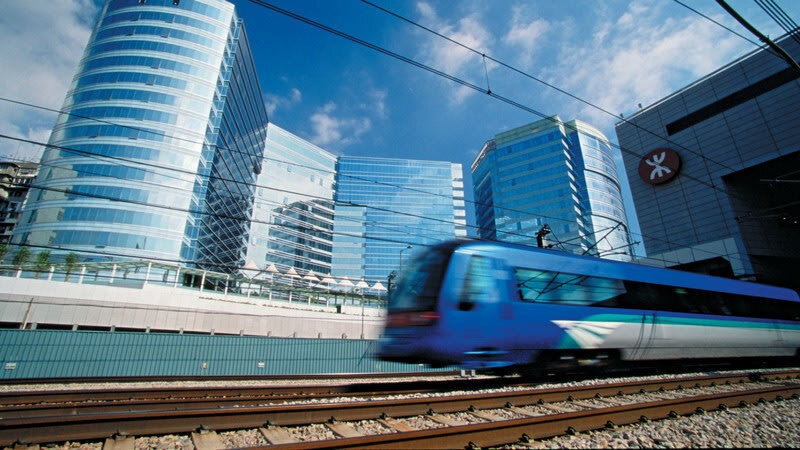 The iVenture pass is also suitable for those either travelling solo or in a group. The cash-free convenience of the card means that it’s easy to handle and keep track of when travelling. With your iVenture attractions pass, you’re entitled to a full day admission plus the convenience of transfer to Ocean Park. The size of 174 football fields, this largest theme park in Asia is a must-visit in Hong Kong! Besides that, the view from the cable car that connects the two main areas of the park is absolutely stunning. The Ocean Express Train is also quite the experience too! On the 100th floor of Hong Kong’s tallest building, you’re greeted with an unprecedented 360 degree view of the city as well as Victoria Harbour. The sky100 Hong Kong Observation Deck sits at 393m, making it the highest indoor viewing deck in the country. The sky100 Hong Kong Observation Deck also has a very cool high-tech telescope! With a nifty feature that allows visitors to experience the view in different settings of the day, you get to enjoy a myriad of experiences when you look through the telescope. Located in Lantau Island is Ngong Ping 360, one of the world’s top ten cable car rides. 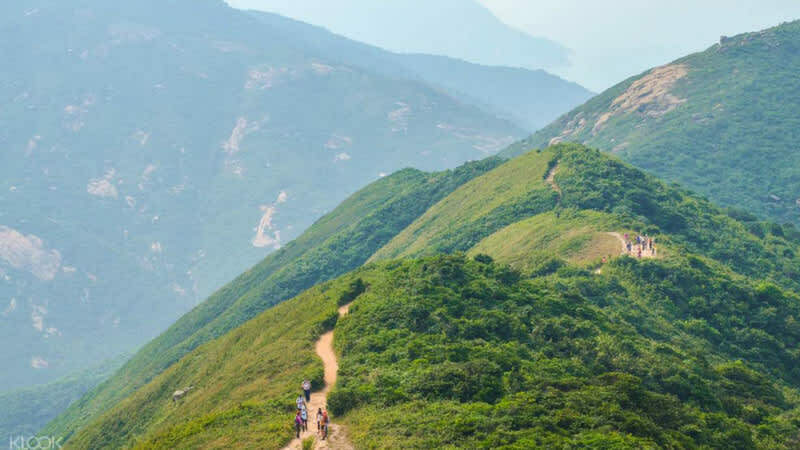 During the 25-minute ride, you get to experience Hong Kong in a truly unique way - enjoying magnificent views of Ngong Ping village, the seascape and the Lantau Island. When you reach the other end of the cable car, you’re free to explore Ngong Ping and discover the cultural wonders of the ancient Po Lin Monastery. Make sure you get your walking shoes on and climb the 268 steps up to Tian Tan Buddha, world’s the largest sitting Buddha. Taken on a tour of Macau tourists spots, historical and cultural sites, as well as the city’s impressive buildings, this is excellent for those who want to see as much of the city as possible! The sites included on the tour are the Ruins of St. Paul's, the Na Tcha Temple, Leal Senado Square, Nam Van Lake, Grand Lisboa casino and more. A delicious lunch at city restaurant is also provided so you’re definitely getting the full Macau experience! As one of Macau’s most recognisable landmarks, the Macau Tower is not unfamiliar to adrenaline junkies. Famous for its Skywalk, and the hair-raising Tower Climb, it’s also home to the world’s highest bungy jump! Don’t worry if you’re not keen on the extreme experiences, you can simply enjoy the view from the glass-enclosed observation deck. Here’s a fun tip, the elevator to go up takes only 60 seconds! Aside from the aforementioned attractions, you can also use your iVenture card for the Peak Tram, Broadway Macau, Victoria Harbour Cruise, and more! Check out the full list of attractions and special discounts you can benefit from. Is the iVenture card worth it? If you fully utilise your iVenture card within the period of your package, then yes, definitely! The trick to maximize the use of your card is by going to as many attractions, tours and activities as possible. Make sure you don’t forget about the additional discounts as well. The more you use it, the more benefits you reap, the more money you save! Complete your Hong Kong & Macau trip with these delectable eats! Visit Ding Dim 1968 restaurant in Hong Kong and indulge in delicious traditional dim sum, the local staple! 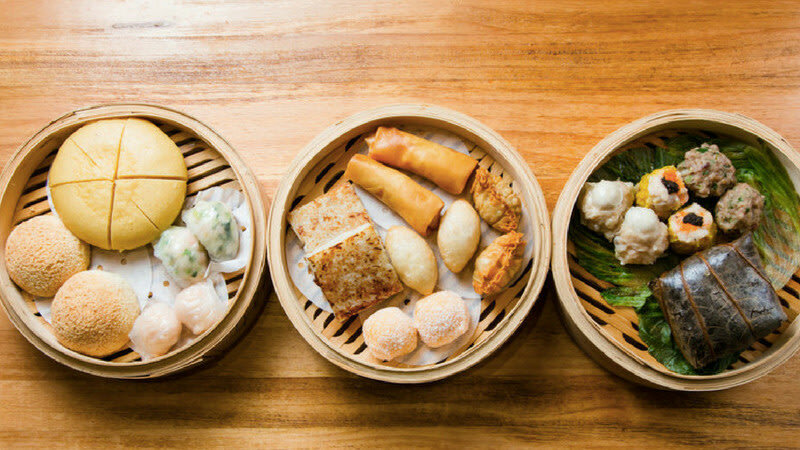 Try some of our recommended menu items, such as the Xiao Long Bao with Pork and Crab Roe, the Siu Mai with Black Truffle and the Baked Pastry BBQ Pork Bun. Dine at Yung Kee in Central, Hong Kong, to enjoy authentic Cantonese food including their famous roasted goose. Aside from the food, you can also purchase souvenir items that are perfect to bring home with you, such as the XO Sauce and Century Eggs! Dine high above the electric nighttime pulse of Macau and enjoying ever-changing views of the sights below in the 360-degree revolving restaurant. Enjoy authentic flavors from Macau, Portugal, China, India and beyond, plus an array of fresh seafood dishes and sweet treats.